Fast-paced highways come with a unique set of challenges for drivers – all drivers should be well-equipped with the top safe driving tips on highways. One bad mistake can create a nightmare commute for hundreds of other commuters. As such, safe driving practices are just as important on highways as they are anywhere else. Next time you find yourself on the open road, be sure to take note of these safe driving tips on highways. 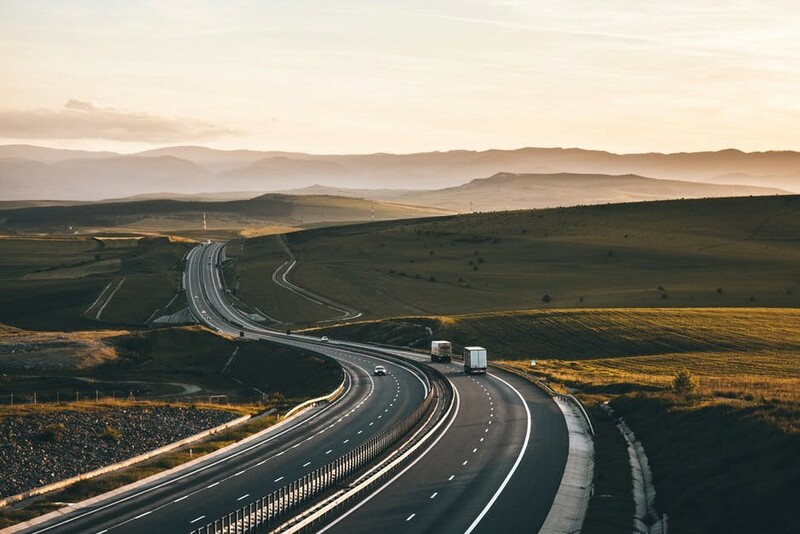 With speeds typically higher on highways than most roads, it is vitally important that you maintain a proper distance behind the vehicle in front. This is especially true when the roads are slick, and the conditions aren’t ideal. The general recommendation is to leave 3 seconds between the car or motorcycle in front of you. This allows plenty of time to react and brake if something goes awry. You want other drivers to be in the best position to see you at all times. This helps to ensure both your safety and theirs. This is an especially important step at night or in poor conditions. By far the best way to do this is by turning on your headlights and even your hazard lights if need be. The generally accepted rule is that if you can’t see other drivers, they can’t see you. One of the unique challenges with driving on highways is the prevalence of semi-trucks and other vehicles. Drivers need to be extra cautious around these vehicles to reduce the potential of an accident. Ensure that you allow plenty of room when merging and passing them, using your blinker at all times. This is especially true for semi-trucks, which can easily lose control if they have to brake suddenly. Most highway accidents can be prevented if all drivers were 100% focused on what is happening in front of them. This means getting rid of potential distractions like smartphones and food. You want to also be stopping at minimum once every two hours to ensure maximum concentration. Many drivers are well-intentioned but face too many distractions to completely avoid accidents. Eliminate these, maintain focus on the road in front of you and the accident potential dramatically decreases. The general rule on most Australian highways is to keep left unless overtaking. Far too often, highway drivers will ignore this, unnecessarily putting themselves and others in danger. Unless you’re overtaking a slower-moving vehicle, ensure you remain in the left lane at all times. If drivers are camping out in the right lane without the intent to overtake, they could very well find themselves ticketed by police. If you are overtaking a slower-moving vehicle, make sure you allow yourself plenty of room before merging. If you have staff or a corporate fleet clocking up kilometres on highways across Australia, it pays to invest in corporate driver training. For more information about our courses, contact Corporate Driver Training Australia.